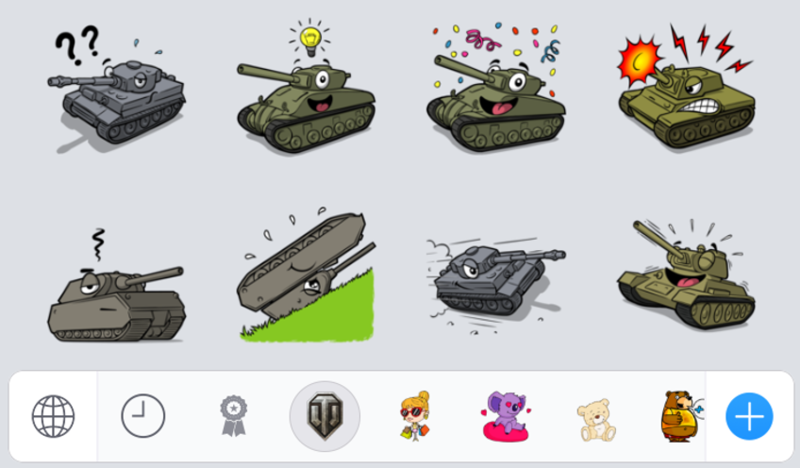 World of Tanks Sticker App! You know what they say: a picture paints a thousand words. Surely the same can be said for stickers! World of Tanks is proud to announce it has joined forces with StickerPicker, meaning you can send a vast array of stickers to your friends through the custom keyboard! You can even use the stickers to convey your current mood or even in the heat of battle, where you might not have enough time to express everything you want to, so why not use a tank instead? That's just a teaser - there are plenty more available when you download the app! You can download the app by opening this link on your phone or tablet. After scanning the QR code or opening the link, just follow the instructions given through the downloaded app and you'll be on your way - it couldn't be more simple! Check it out for yourself and paint a thousand words, Commanders!